2,000 people have been arrested as a precaution, to limit the building tension dividing Mumbai, a city of 14 million in two. In one corner is Shah Rukh Khan, and the other is Bal Thackeray. King Khan, known for his immense box office success, is now under pressure from Mr. Thackernay, the octogenarian leader of the extreme political party, Shiv Sena. This Hindu distaste for a about Pakistanis playing on Indian cricket teams has attracted the attention of the country’s political heir, Rahul Gandhi, and managed to find it’s way into the national struggle for inclusive democracy. But Mahesh Bhatt, a filmmaker who has dealt with Sena in the past, says that hate has always been a popular commodity in certain quarters of India, and that he’s ready to call the bluff. But the threat is real, and the people are capable. 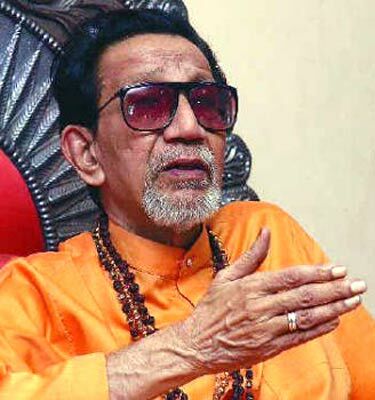 Followers of Shiva Sena, which translates to the Army of Shivaji – the Hindu king who fought against muslim rulers – were implicated in notoriously violent riots back in 1993. As evidence for the power of Mr. Thackeray,a former cartoonist, his campaigns against Muslims and migrants from both south and north India have kept the ideology of exclusion in Mumbai at rest. But, now 84 years old, Mr. Thackeray’s party is struggling beneath his son’s leadership. As of now, the public shows little interest in Shiv’s call for protest; however, several theaters have already stopped selling advanced tickets, while others may just call the whole thing off. But all is not lost just yet. According to a post Khan made on his Twitter account, he hopes that peace prevails so that the city may rest.